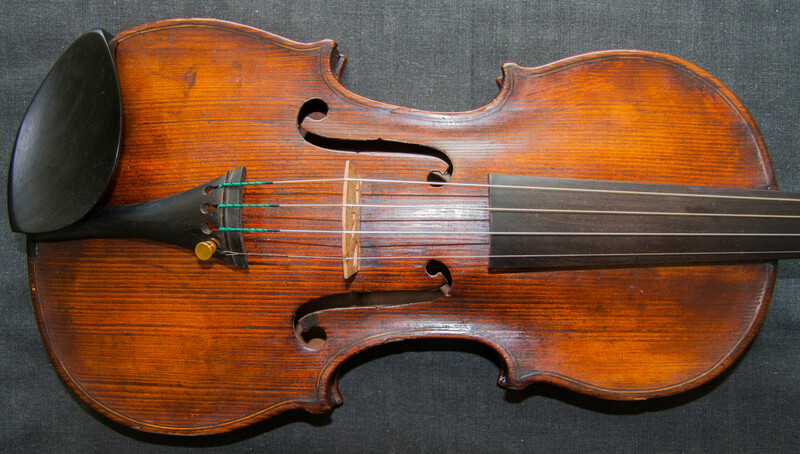 A very beautiful and gorgeous sounding violin labelled Guiseppe Antoni Rocca, 1834. 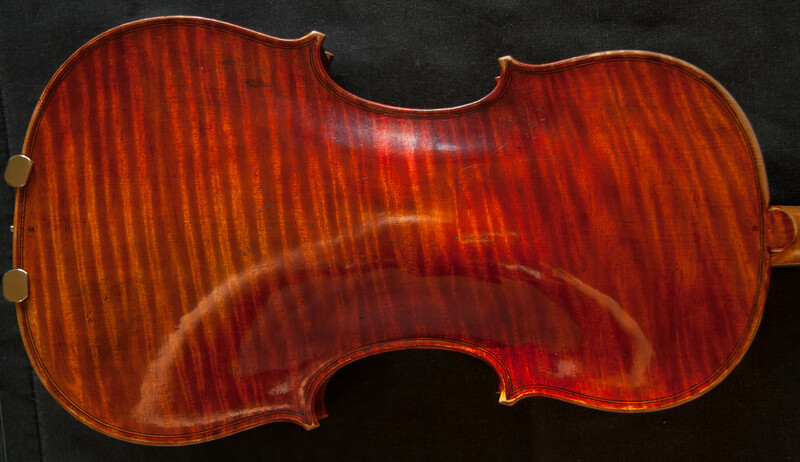 This violin is simply stunning with its gorgeously flamed single piece back and glowing golden-red varnish. SKU: 00054 Categories: Italian Collection, 19th Century. 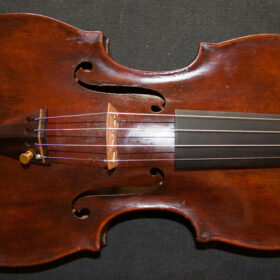 Tags: antique violin, italian, old violin, Rocca violin, vintage violin, violin. 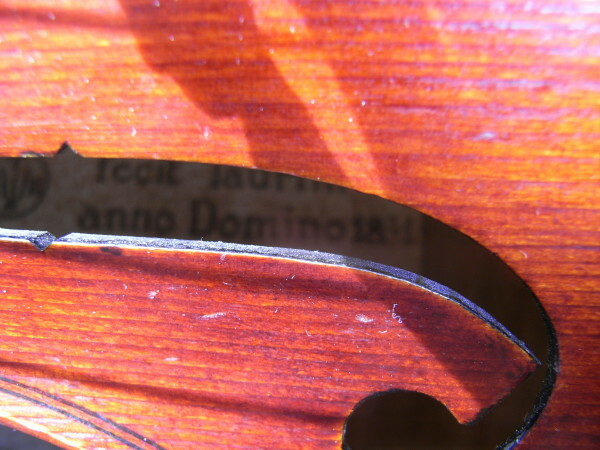 It has a bold, masculine outline, equally strong scroll and is in near perfect condition, with no cracks or signs of repair. 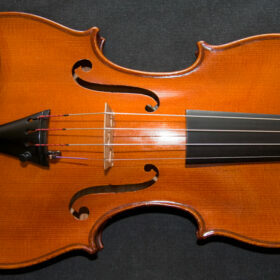 The sound too is more than a match for its wondrous appearance. 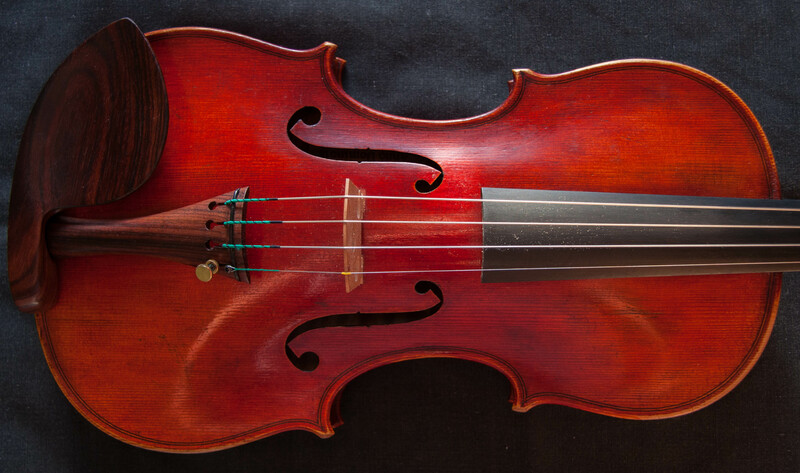 It is one of those exceptional violins that does not sound loud close to the ear but has a cutting edge that carries seemingly endlessly, giving it great projection. 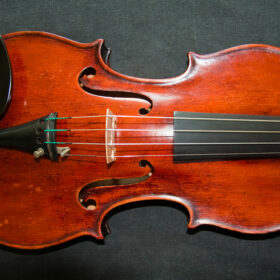 It has a piercing clarity, great resonance and wonderful overtones. The quick response of this violin makes fast passages delightfully easy to traverse. 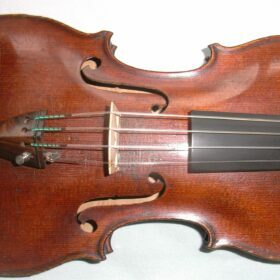 This violin comes with Pirastro Tonica strings which are better match than the usual Ivah Pirazzi strings that most of my violins are fitted with. 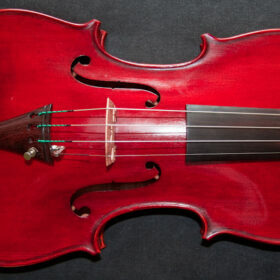 It is a violin that is an absolute joy to play. 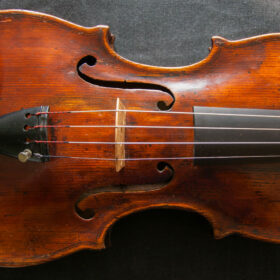 Much like this violin, the maker Guiseppe Antoni Rocca was an extraordinary character. Born in 1807 in Barbaresco near Turin, Rocca learnt his trade with one of the most prestigious non-Cremonese makers, Giovanni Francesco Pressenda, and Rocca soon became noted as a very talented maker himself. He left behind the patterns of his master and having seen in Tarisio’s collection “Le Messie” (The Messiah) Strad of 1716 and “The Alard” Guarneri del Gesu 1742 (as the two violins latterly became known) he started to model his violins after these two instruments. 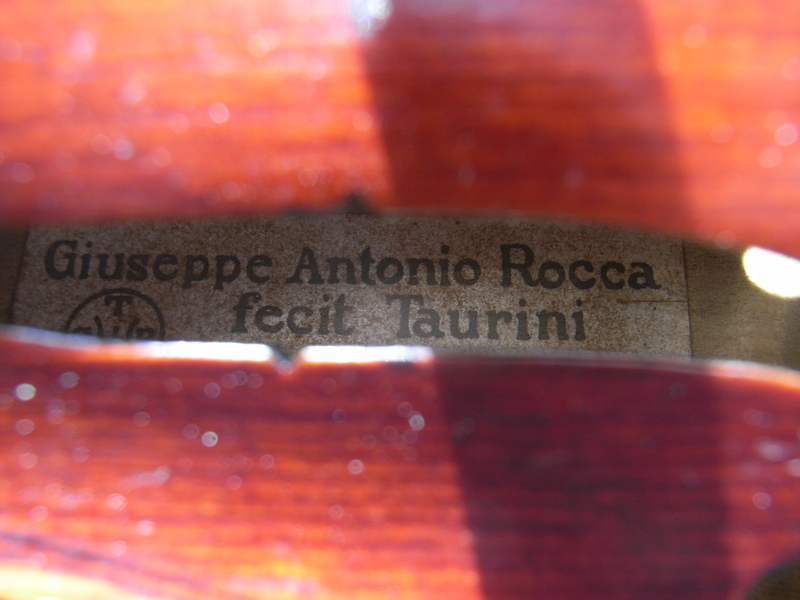 Rocca, however, had two sides to his character. On the one hand he could be a diligent and dedicated worker which would bring him significant pecuniary reward, whilst on the other hand he had a love of excessive social behaviours – wine, women and gambling – which could be so extravagant as to exceed his income. 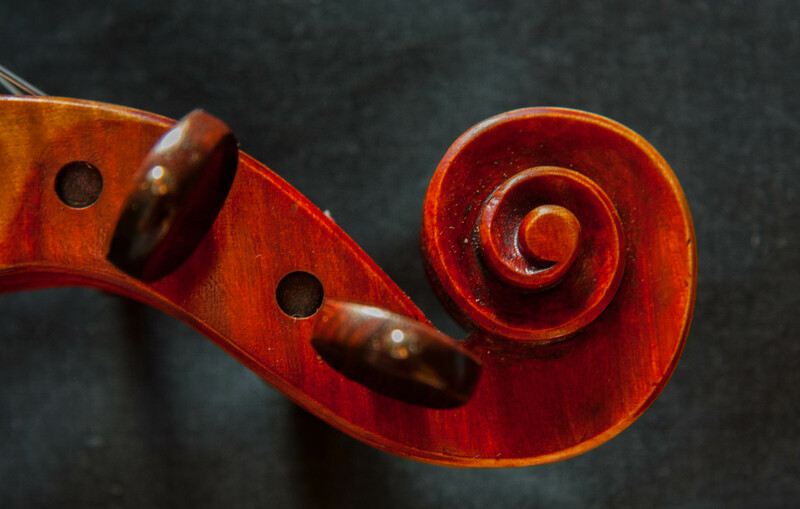 Several times he was on the brink of financial ruin but managed to refocus his efforts on sobriety and work to save himself, business and family. Finally in 1865, and still 3 months short of his 58th birthday his turbulent domestic life, drink and gambling appears to have become too much for him. Now married for the fifth time, to an 18 year old who it is rumoured contributed to his demise, one January morning he was found at the bottom of a well with the suggestion being that he had committed suicide.